The Chalet Company are devoted to providing the best experience for their customers from the booking process to the holiday. We created a bespoke WordPress plugin which transfers all their chalet information & availability to their marketing website via an API. Saving so much time has meant they can focus on what they do best: providing exceptional customer service. 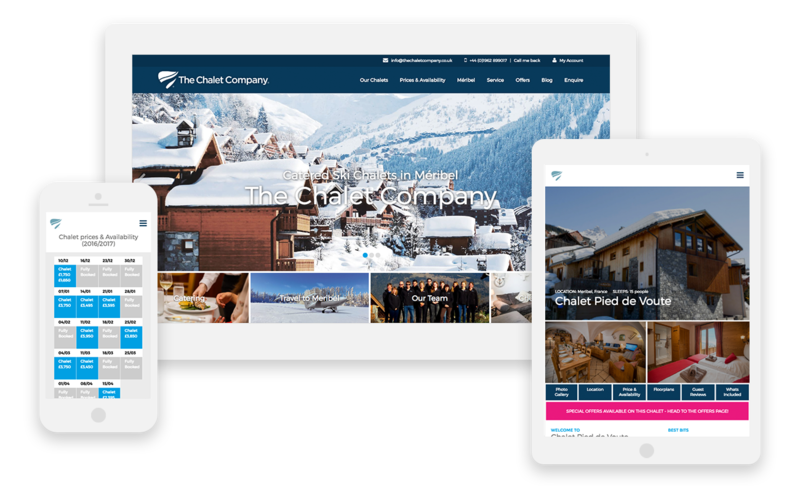 Rather than having to enter data twice, the bespoke Wordpress plugin transfers chalet information and availability to their website via an API. 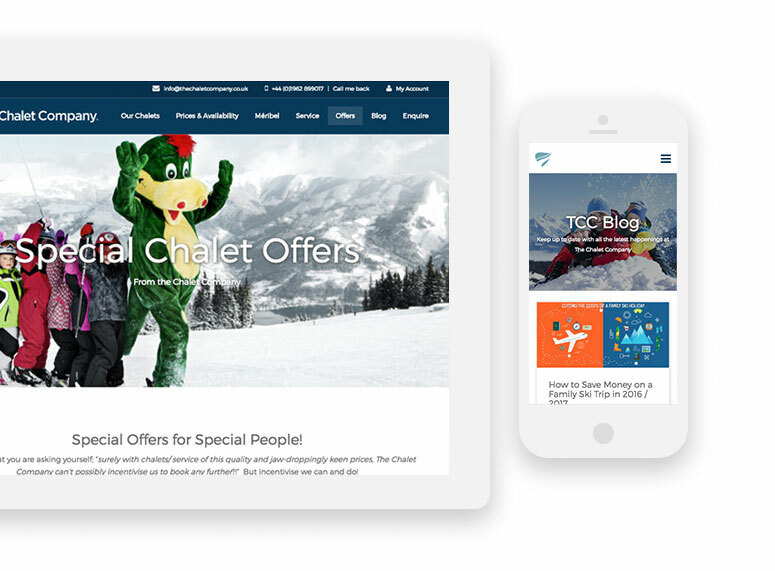 The Chalet Company knew how important it was to have a mobile responsive website, to provide the best experience for their customers on any device. 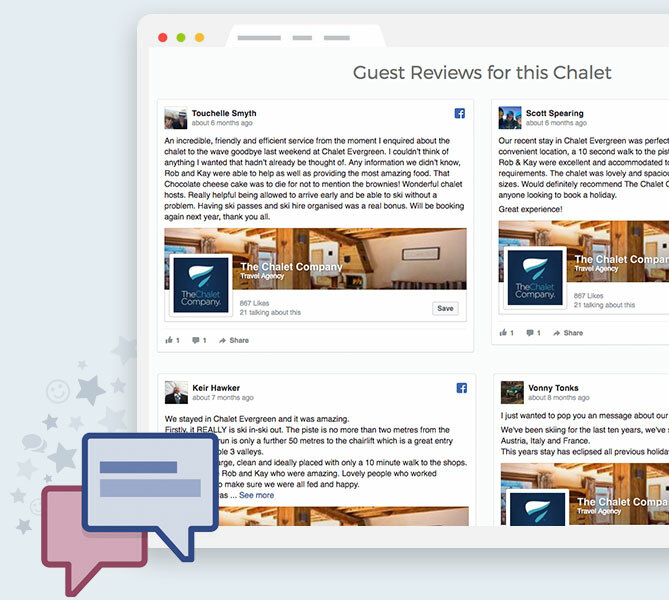 Facebook reviews are a great way to show credible customer satisfaction. The website is built on the hugely popular and flexible Wordpress platform. The website is mobile responsive to ensure it looks great on mobile, tablet and desktop. 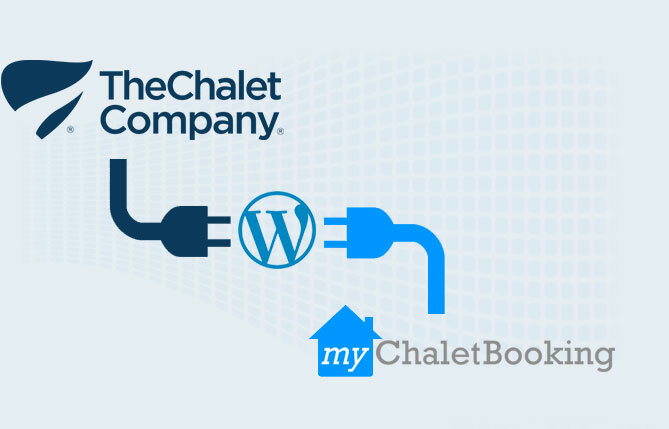 A bespoke Wordpress plugin was built to link the website to the myChaletBooking app.